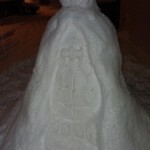 Being the Whovian that I am, I spent all day yesterday sporting my awesome Snowman Dalek t-shirt but I don’t think a t-shirt can compare with the real thing. 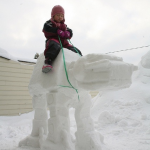 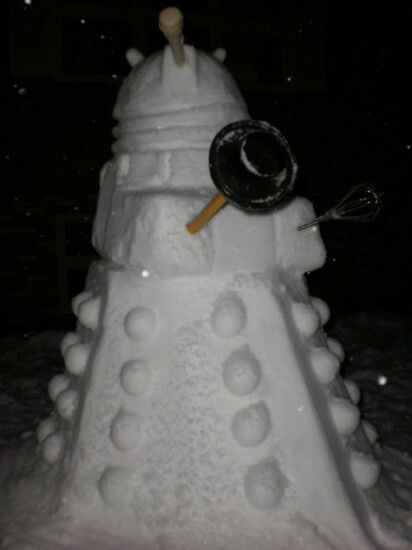 Well, one Doctor Who fan that loves to play in the snow made this awesome Dalek Snowman. 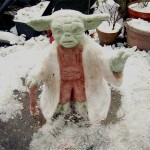 I find the use of a turkey baster for the eye to be kind of odd but it works! 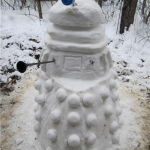 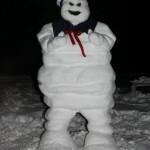 Now, if we get the 8 inches of snow today that they are talking about, I might have my own Dalek Snowman to show off soon!